Free exclusive projecting scepter inside DVD! Elena, Crown Princess of Avalor, poses with elegant confidence in this handcrafted, hand-painted Couture de Force figurine that features her formal red gown with flowing ruffled flounces, an underskirt, and a pink-bowed sash. 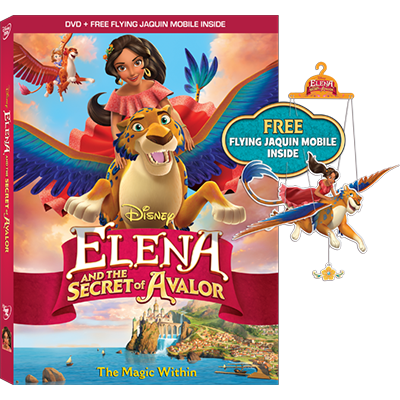 Make their birthday one they'll always remember with this <i>Elena of Avalor</i> Disney Party Collection. The teenage royal will be a welcome guest in the form of these colorful party essentials that include, plates, napkins, party favors, and more. Your party guests can wear their love of <i>Elena of Avalor</i> on their sleeve with these colorful wristbands. The set of six rubber bracelets feature three different designs with inspiring slogans.